The conference will bring to the forefront the raise of technology players in Financial services. The focus will be on the SMEs' financing and on the interaction between these new players and the cooperative and popular banks. Innovative SME Financing with EFSI: experiences and way forward. 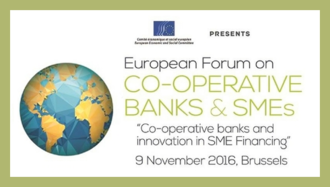 How is the regulatory framework affecting the role of co-operative banks in financing SMEs?